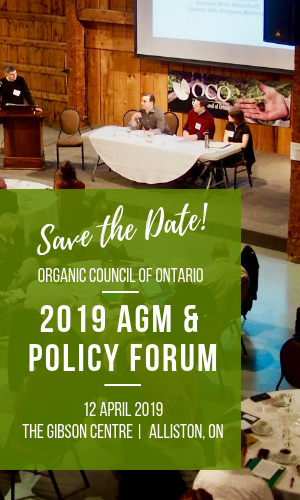 With support from OMAFRA’s New Directions Program, the Organic Council of Ontario engaged in research to help benchmark and quantify the organic sector in Ontario to lead to better business decisions within the organic sector. The final reports are available to be read or downloaded. OCO encourages the use of the reports to lead to informed business decisions and further research regarding Ontario’s growing organic sector. OCO gratefully acknowledges the support of OMAFRA under the New Directions Program for this initiative.